Diamond Select Toys’ Gallery line of PVC dioramas is expanding into new worlds! 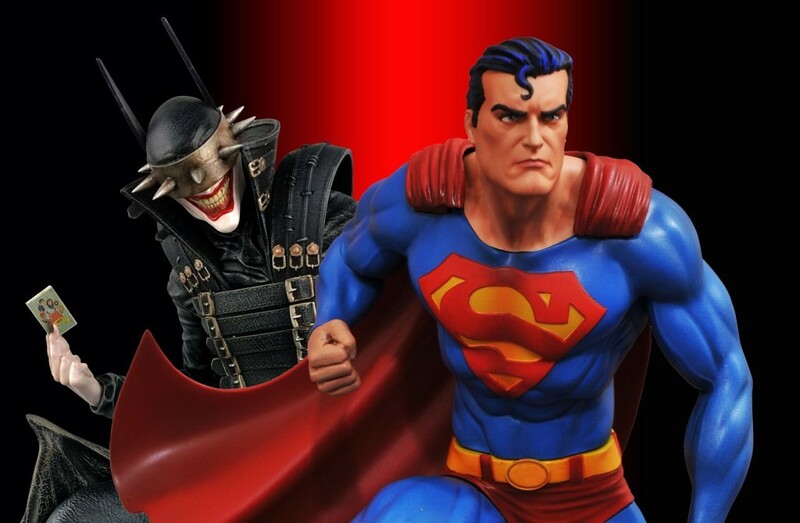 Capturing the comic-book looks of DC’s greatest heroes and villains, each 9-inch PVC diorama is sculpted in the 9-inch scale, with varying heights depending on pose and environment. Featuring dynamic designs and scintillating sculpts by today’s greatest artists, and the first few in the line are available for pre-order through your local comic shop or favorite online retailer! As noted in the headline, GameStop stores will get a few exclusive-debut figures including Green Lantern, Nightwing and The Joker, which will ship in late 2018 and eventually make their way to comic shops. All figures are expected to retail at $45. While we wait for Hal’s figure, sooner comic-shop/specialty store releases include Batman, Aquaman, Supergirl, Flash, Catwoman, Green Arrow and Shazam! One per month will go up for pre-order, with monthly releases starting in late Summer 2018. Check out some images of Harley Quinn, Superman and more here, courtesy of DCC.